On 8 January 1941, Josef Jakobs was sent from Hamburg to The Hague to complete his espionage training. In some of his initial statements to the MI5 officers in April 1941, Josef stated that he had stayed at the Hotel Central while in The Hague. In later statements, he corrected that information and said that while he had gone to the Hotel Central to listen to jazz music, he had stayed at the Hotel Zeben in Molenstraat. While at the Hotel Central, Josef had seen fellow spy, Karel Richter, who had stayed at the Hotel. 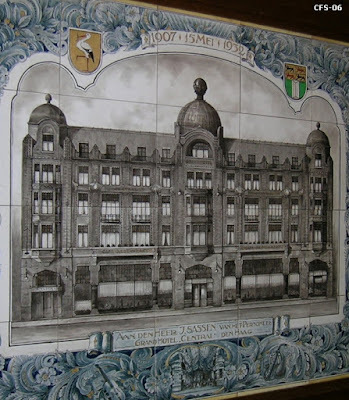 Decades later, the Hotel Central and Hotel Zeben have altered much, and even though one cannot step back in time, one can still get a sense of what Josef and Karel would have experienced. In 1880, a hotel and the Grand Café du Passage were built in a neo-Renaissance style at Lange Poten 10, in the centre of The Hague. The building would seem to have been rather elaborate (garish perhaps?) based on the photographs. The cafe had a covered shopping arcade with terraced tables on both sides (See the If Then Is Now site for more photos). can see a cupola from the Hotel Central building in the background. 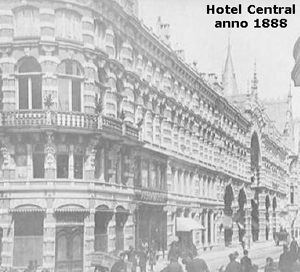 In 1885, the Hague Passage was built and the name of the hotel was changed to Hotel Central, possibly to avoid confusion. The passage was two stories high and covered by a glass roof. In 1906, the owners of the Hotel Central, the Zuid-Hollandsche Bierbrouwerij (ZHB) [South Holland Beer Brewery)], took over the House of Lords at Hofstraat 4 and started using it as a branch of the hotel. Apparently the ZHB owned a large number of hotels and cafes in The Hague and Amsterdam, a way to ensure a stable income. The building in which the House of Lords was located existed as early as the 1500s, although the building only acquired the name “House of Lords” during the First World War from interned British officers. 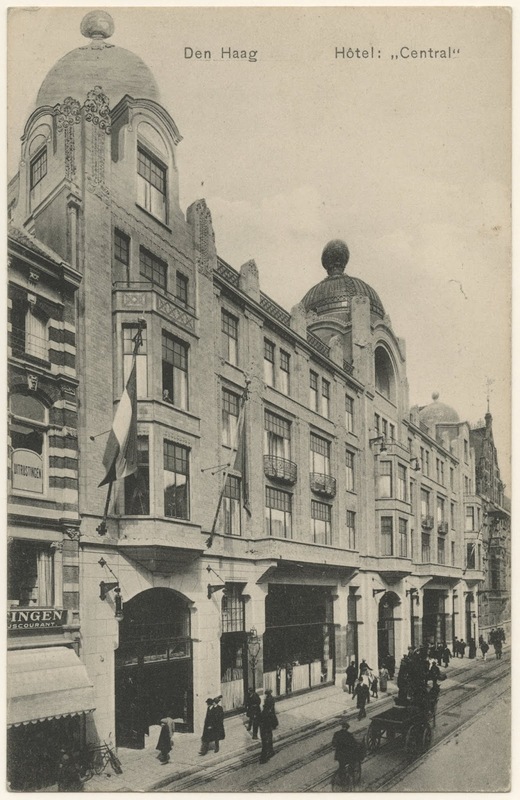 The building no longer exists but was located along the northeastern side of what is now the Hofplatz in The Hague (see Google Maps link in Post Script below). In 1911/1912, the Hotel Central underwent a major renovation and by 1915, looked very different from its earlier “galleried” style - far more concrete, and much less "renaissance". The Gustav Mahler website, has some fascinating pictures of the hotel, including interior shots as well as a menu and advertisements from the late 1930s. The hotel also has a grim side-story. Gustav Mahler’s niece, Alma Marie Rose was an Austrian-Jewish violinist who, after escaping from Berlin to London in 1939, returned to occupied territory to earn money. She played in the Hotel Central’s cafe and restaurant in 1939 but, by 1943, had been deported to Auschwitz. She died in Auschwitz-Birkenau on 4 April 1944. Today, if one strolls along the shopping promenande, one can still see remnants of the former Hotel Central’s former glory. It is rather eerie to consider that Josef Jakobs and Karel Richter may have sat within the hotel's opulent surroundings and listened to the music of Alma Marie Rose - all three destined to die before war’s end. 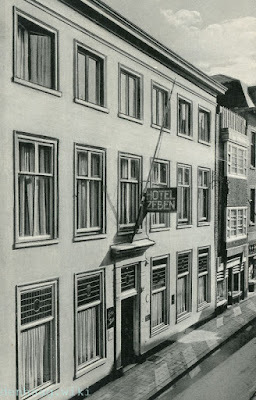 As for the Hotel Zeben, which Josef claimed to have stayed at whilst in The Hague in January 1941, the building still exists at Molenstraat 26, and is still a hotel, albeit with a name change - Hotel Paleis. From Josef’s statements to the MI5 officers, we know that, on the days when he had wireless training, he was picked up by an Abwehr car on the street corner outside of the hotel, likely the intersection between Molenstraat and Oude Molenstraat. From there, it would have been a short drive to a flat in the Vondelstraat, where Josef and Karel Richter engaged in wireless training. I've added the locations to My Google Maps - further blog posts on other The Hague locations in the works. 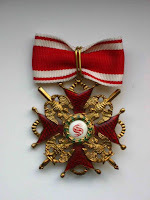 Two years ago, I wrote a blog post about the German Abwehr’s activities in Hamburg. Many of the agents sent to England from the Continent in 1940 and 1941 were run by spymaster Nikolaus Ritter from the Abwehr’s Ast Hamburg (Referat I Luft) offices. Early in my research into Josef Jakobs I discovered that he had also spent time in The Netherlands. In January 1941, Josef was sent to The Hague for additional wireless training and was ultimately sent to England from Schipol Aerodrome near Amsterdam. Karel Richter, too, spent time in The Hague and both he and Josef said that they had encountered at least one other spy destined for England during their time there. The officers of MI5 were very interested in any information that Josef and Karel divulged about the Abwehr’s activities in The Netherlands. The fact that the two spies could be played off of each other in a game of one-upmanship generated a rich trove of information. Some of the information could be cross-referenced against data gleaned from other spies. Slowly, the MI5 officers built up a picture of the Abwehr’s activities and officers in The Netherlands. It wasn’t complete, by any means, but it was a start. The real question is: was any of the information shared by Josef and Karel accurate? And can we now verify some of that information? We have, naturally, the declassified MI5 files on Josef Jakobs and Karel Richter, as well as other spies. There are, however, at least two other resources that can be held up to the light along with the MI5 files. I recently came across two Dutch books published in 2011 and 2016 which delve into the German Abwehr’s activities in the Low Countries. The first is by Etienne Verhoeyen - Spionnen aan de achterdeuer: De Duitse Abwehr in België 1936-1945 - and tells the tale of the German Abwehr’s activities in Belgium during the Second World War. While I haven’t purchased Verhoeyen’s book, I have been able to conduct a limited search of it via Google Books. I’ve come across several references to the German Abwehr’s activities in The Netherlands which have been helpful. The second book is an unpublished manuscript by Frans Kluiters, an amateur historian who passed away in 2009. I use the term “amateur” with the utmost respect for although Kluiters was not an academically trained historian, his work is held in the highest regard by authorities in the field. Kluiters and Verhoeyen had partnered together to research and publish two books about the German Abwehr’s activities in The Netherlands (Kluiters) and Belgium (Verhoeyen). While Verhoeyen’s book had been published in 2011, Kluiters premature death in 2009 left the second part of the project hanging. Verhoeyen was able to bring Kluiter’s manuscript to completion and in 2016, it was published on the NISA website, freely available to everyone. The book comprises fifteen chapters and ten appendices all easily downloadable and searchable in pdf format. With the assistance of Google Translate, I was able to focus on key sections of the manuscript and extract items of interest regarding the Abwehr’s activities in The Hague that intersected with the lives of Josef Jakobs and Karel Richter. Kluiters also published an earlier book in 1993 (with a supplement in 1995): De Nederlandse inlichtingen- en veiligheidsdiensten [The Dutch Intelligence and Security Services] but I have not yet been able to track down a copy. Over the next few blog posts, I plan to examine in greater detail some key locations and Abwehr personnel associated with training espionage agents in The Hague. During research for a few recent blog posts, I’ve been reviewing Guy Liddell’s diaries, the original documents from The National Archives at Kew. In that process, I’ve come across a few interesting tidbits that warranted further investigation, if only to satisfy my own curiosity. August 21, 1940: […] A German named H. K. BRUINS who came over here in the guise of a refugee from Belgium and Holland, is a self-confessed German agent. 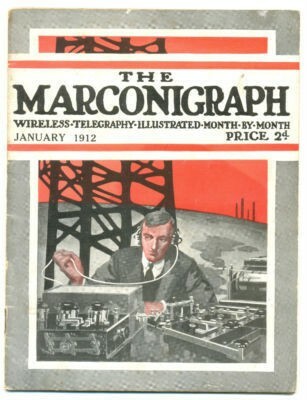 He had been in possession of a wireless set with which he had been communicating weather reports and other information to the Germans. He had also been instructed to give them early intimation of the advance of British troops into Belgium. This I gather he had done. He was working for RANTZOW [sic]. The question now arises whether this is a shooting case. There is no doubt what ever [sic] that BRUINS [sic] was a German agent and very little doubt that he was operating against us. He was certainly operating against our allies. It sounds like Bruins came to England with a wireless set as a supposed refugee but was actually a German agent. As far as I know, the first wave of agents with wireless sets were the four spies who landed along the coast of Kent in early September 1940. Followed closely by Wulf Schmidt and Gösta Caroli in mid-September. But Liddell’s entry makes it sound like Bruins was an earlier spy who arrived in August 1940. This would be news indeed. But it also sounds like Bruins was working on the continent, reporting on the movement of British troops. Did Bruins then take his wireless set to England and use it there? According to Liddell, Bruins was working for Rantzow - likely a misspelling of Rantzau a.k.a. Nikolaus Ritter, head of the I Luft section of the Hamburg Abwehr. Was Bruins part of Operation LENA run by Nikolaus Ritter? Liddell indicates that there is “very little doubt” that Bruins was working against the British and that the only question “is whether Bruin [sic] is a shooting case”. Based on what happened to the other German spies, one would think that Bruins’ case would have been open and shut. He was caught with a wireless set and confessed to being an agent of the Germans - clearly a first-class candidate for prosecution. There is, however, no evidence that Bruins was executed, nor even prosecuted, which leaves us wondering… what became of Bruins? The most obvious place to look for information on H.K. Bruins is the National Archives. Unfortunately, I have been unable to uncover any Security Service file on this agent. Other sources, however, have yielded enough information to begin to answer the above questions. I had a look at the Camp 020 book published by the PRO in 2000 (edited by Oliver Hoare). There is no mention of Bruins in the index, which is a bit perplexing if he was considered a “shooting case”. Luckily, there are some other Camp 020 files at the National Archives that can shed some light on Bruins. File KV 2/2593, which records a list of case in Camp 020, has an entry for Harm Knol Bruins which indicates that he arrived at Camp 020 on 10 August 1940 and was transferred to Camp 001 (Oratory Schools) on 19 September 1940. A handwritten comment notes that he was deported to "Holland" in 1945. His personal file (PF) number was 54330 and a note states that the file was destroyed on 7 October 1960. That may explain why there is no file on Bruins in the National Archives. The short amount of time Bruins spent at Camp 020 (about a month) suggests that he was not considered a “shooting case”. Which leaves one wondering, how could a German agent equipped with a wireless set simply be detained for the duration of the war when others were executed for the same crime? Further references to Hamkes and Bruins are contained within a series of online documents (De Abwehr in Nederland (1936-1945)) from NISA (Netherlands Intelligence Studies Association). The documents are from an unfinished 2006 manuscript by Frans Kluiters which was edited after Kluiters death (2009) by Etienne Verhoeyen (2016). Verhoeyen published a book in 2011 about the German Abwehr's activities in Belgium, which also provided some useful information. It would appear that Hamkes (or Doktor Hamkes/Hamken) was the code name of Major Walter Schulze-Bernett, an officer of the German Abwehr. Walter Emil Gustav Schulze was born 27 November 1896 in Hamburg, the son of a German theatre painter (Friedrich Conrad Gustav Schulze) and an English mother (Amalia Alwina Hamkens). A marginal note on Walter's birth registration states that: On 8 February 1939, Walter changed his family name from Schulze to Schulze-Bernett. It would appear that Schulze-Bernett used a slight variation of his mother's maiden name (Hamkens) as his Abwehr code-name (Hamkes/Hamken). Schulze-Bernett served in the First World War and was awarded the Iron Cross (First and Second Class). After the war, he worked for the police for several years, before becoming involved in banking. From 1920 to 1935, he worked for several banking interests in Amsterdam. In 1935, Schulze-Bernett went to Berlin and was assigned to Abwehr Ast I in Nest Cologne. According to Schulze-Bernier, during the period from 1935-1938, his agents didn’t have any “real” missions but were simply given practice tasks such as discovering the location of French army units (data that could be checked against a French publication which the Germans had acquired). In September 1938, Schulze-Bernett was attached to the German embassy in The Hague as an attaché. He was instructed to expand his espionage networks in Belgium, France and England. After the declaration of war in 1939, Schulz-Bernett’s assignment was expanded to include the Netherlands. At some point, in the fall of 1938, Schulze-Bernett became acquainted with Dutch civil engineer, Harm Knol Bruins in Rotterdam who was eventually recruited as an agent. Since Schulze-Bernett had been transferred to The Hague around the same time that Bruins was recruited, the new agent was likely transferred to another spy handler at Nest Cologne (one source suggests this was Major Friedrich Rudolph, head of I Heer). Harm Knol Bruins was born 3 April 1880 in Usquert (Gröningen) to Jacob Bruins (24 year old farmer) and his wife Dietje Huizinga. On 12 June 1912, Bruins married Rosina Barbara Stuhlmüeller (born 4 May 1884 in Bamberg, Germany) in Usquert. He gave his occupation as a postal engineer. As for some of the other abbreviations: inw=inwonend=live-in; GK=Gezinskaarten=Family Card; VT=Volkstelling=Census; PK=Persoonskaarte=Persons Card. 7 Nov 1932 - Knocke (Belgium) - likely Knokke-Heist, Belgium. The address "Sentier des Oyats 30, villa Toetie" is perplexing and essentially means Path of Oyats (beach grass). It is possible that the address was a beach cottage. On 6 July 1934, according to a marginal note on Bruins’ marriage certificate, he and his wife were divorced in Brugge, Belgium. It would then appear that in late 1938, Bruins was recruited as an agent of the German Abwehr. From May 1939 to December 1939, Bruins traveled to Cologne every month to receive training in Morse code and military matters from two Abwehr officers, Roemer and Koch (likely cover names). Bruins received two cover addresses in Cologne to which he was to send information about airports and aircraft factories in Belgium. He was also instructed to send weather reports (air pressure, temperature, cloud cover, wind direction, precipitation). In order to complete his mission, Bruins was given a wireless transmitter with which he sent messages twice a day in code. At the end of March 1940, Bruins moved from Knokke (a Belgian coastal community just across the border from the Netherlands) to De Panne (a Belgian coastal community on the border with France, just east of Dunkirk). According to the NISA documents, Bruins required a replacement part for his wireless transmitter which was to be delivered by a “Sturm” (officer/courier/agent?) of Nest Cologne. The courier was stopped en-route, however, and questioned by the authorities at which point he revealed information about Bruins. Strangely, Bruins and his wife [given that he divorced his first wife in 1934, this might be a girlfriend or second wife.] were only arrested on 12 May (two months later) by the French Sûreté and his wireless set was confiscated. According to Kluiters, the rapidly advancing German armies meant that there was no opportunity to try Bruins and he was transferred to England where he was interned for the duration of the war. According to one source, Bruins was interned on the Isle of Man where he made extensive statements which showed that he was indeed a German agent. From the Camp 020 records, we know that Bruins was deported back to the Netherlands in 1945. A hand-written note on the Rotterdam municipal census records (see image above) may give an exact date for his return: 6/9 - 45 terug [back?] PK. The PK likely stands for a Persoonskaart - and that would support that this may be the date (6 September 1945) upon which he returned to the Netherlands and was assigned a new Persoonskaart. In 1949, four years after returning to the Netherlands, Bruins wrote to the “State Security” and said that while he had been interned under suspicion of espionage, the suspicion was unfounded. An appendix in the NISA documents indicates that Bruins passed away on 13 January 1966. What then can we deduce from all of this? Can we answer the questions posited above? Some of them, most definitely. It would appear that civil engineer Harm Knol Bruins was recruited in The Netherlands in late 1938 or early 1939 by Major Walter Schulze-Bernett (code name Doctor Hamkes/Hamken). Bruins received training at Nest Cologne in wireless transmission and was sent to coastal Belgium to report on military matters (airports and aircraft factories) and the weather. On 12 May 1940, Bruins and his wife/girlfriend(?) were arrested by the French authorities but, due to the rapid advance of the German army, Bruins was not prosecuted on the Continent but sent to England. Bruins arrived at Camp 020 on 10 August 1940, which leaves one wondering, where was he for the three months between mid-May and mid-August. In the rush to evacuate the continent in late May 1940, had he become mixed in with other legitimate refugees? Although Liddell seemed to think that Bruins had the potential to be a “shooting case”, it would seem that there wasn’t enough evidence to prosecute the man. 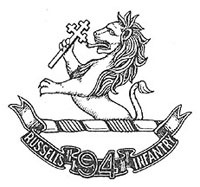 On 19 September, Bruins was sent to Camp 001 (Oratory Schools) and interned for the duration of the war. What became of his wife/girlfriend remains unknown. It would seem pretty clear that Bruins did not conduct any espionage with a wireless transmitter whilst in England and it is highly unlikely that he was a LENA agent sent by Nikolaus Ritter. The story of Major Walter Schulze-Bernett, who recruited Bruins, is fascinating in its own right. After the war (1973), Schulze-Bernett wrote an account of the Venlo Incident which took place in November 1939 shortly after Schulze-Bernett had been appointed as attaché with the German Embassy in The Hague. 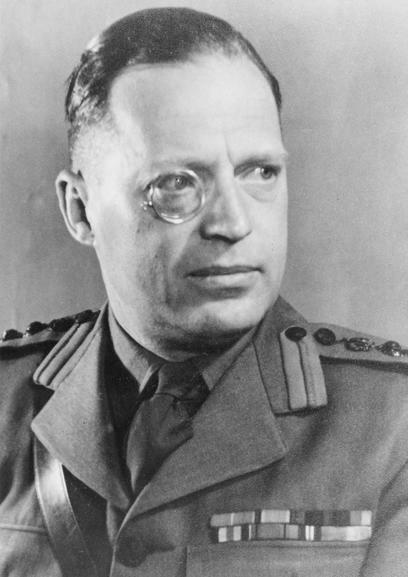 From June 1940 to June 1941, Schulze-Bernett was head of Gruppe I, Ast Netherlands in The Hague. He worked closely with the head of Referat I Luft in The Hague, Major Mercker (alias Malten), who is likely identical with Major Merkel (alias Malten) with whom Josef Jakobs dealt whilst receiving training in The Hague. But that is another blog post! 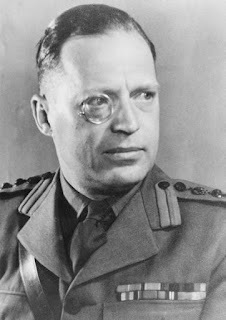 In July 1941, Schulze-Bernett was appointed head of the K.O. (Kriegs-Organisation) Near East in Ankara, where he remained until 1 March 1943. He finished the war as a Lieutenant-Colonel. After the war, Schulze-Bernett was apparently interned by the Allies for a year, but then released. He lived in Hamburg with his wife and operated an import/export business, passing away in 1985. Prior to his transfer to Ankara, it would appear that Schulze-Bernett was also involved with Operation Aquilar, a plan to save Jews by ostensibly by infiltrating Abwehr agents into a stream of Jewish refugees sent to the Americas. As part of this operation, Schulze-Bernett was able to save at least 176 Jews (and perhaps as many as 700). 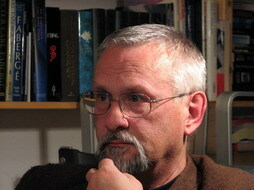 According to Tom Topol (Passport-Collector site), in 2015, Schulze-Bernett was nominated to be awarded the title “Righteous among the Nations”, although his name has yet to be added to the database on the Yad Vashem site. I was unable to find any reference to Walter Schulze-Bernett in the National Archives catalogue at Kew, which is odd if he was involved with the Abwehr in both The Hague and Ankara. Guy Liddell diaries - National Archives, Kew. Author David Tremain kindly pointed out that in his book on J.M. Dronkers (Rough Justice - published 2016) he too has mulled on the identity of Abwehr spy handler Hamkus/Hamkens (see p.39-42, 69, 81). In reviewing the military file of Robin W.G. Stephens, I came across several references to Abyssinia and/or Ethiopia. On his application file, Stephens was asked: Have you an intimate knowledge of any parts of the British Empire, and/or Foreign Countries? "As I have had frequent occasion to report, I consider Captain Stephens to be, without exception, the only really indispensable member of the Red Cross in Ethiopia. Coupled with real capability is a capacity for hard and conscientious work I have seldom seen equaled. I consider that his work as Administrative Officer has been fully twice as hard and unending as that of any other official, and that the Committee would be hard put to it to find another Administrative Officer with half his capabilities or devotion to duty." High praise indeed and one more bit of evidence that confirms that Stephens served with the British Red Cross in Abyssinia/Ethiopia during the mid-1930s. John Melly did indeed serve with the British Red Cross expedition in Ethiopia. Born in Liverpool in 1898, André John Mesnard Melly enlisted in 1917 and served with the Royal Field Artillery. He was awarded the Military Cross and finished the war as a Second Lieutenant. After the war, Melly studied medicine in Liverpool and became a surgeon and a member of the Fellowship of the Royal Colleges of Surgeons (FRCS). A passionate Christian, Melly dreamed of combining his two passions (faith and medicine) and becoming a medical missionary. Stephens himself would later describe Melly "as intensely, but unobtrusively religious". 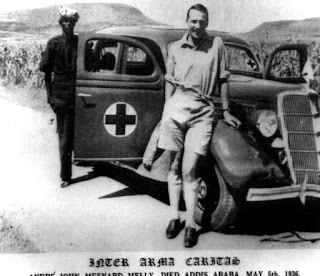 After a visit to Ethiopia in early 1935, Melly recognized the signs of looming war and returned to Britain where he founded the British Ambulance Service in Ethiopia (BASE). Initially funded to a large extent out of his own pocket, BASE eventually became integrated with the British Red Cross. 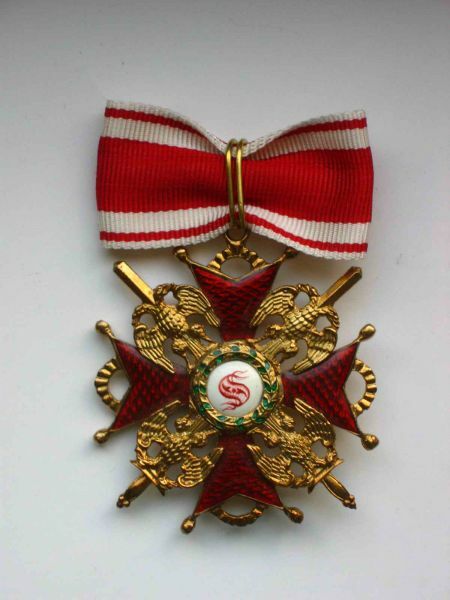 As for the recipient of the letter written by Melly regarding Stephens, Sir Harold Ben Fawcus was indeed the Director General of the British Red Cross. Fawcus was a highly decorated officer who had served with the Royal Army Medical Corps (RAMC) since 1900. He was mentioned six times in despatches during the First World War and even spent time along the north-west frontier of India during the third Afghan War in 1919, making one wonder if he had encountered Stephens at that point. A bit of digging on the internet has yielded several references to Stephens in relation to Ethiopia. At this point, some context, and a brief history lesson, is in order for those who, like me, have no clue about the Italo-Abyssinian War. Before we begin, I should mention that at this point in his life, Stephens was still sometimes hyphenating his name with that of his wife - "Townshend-Stephens" - see my blog post of Phyllis Gwendolen Townshend for more information. It all began with the jockeying for position of European colonizers in Africa. The big players, England and France, weren't all that pleased when the other acquired an advantage in the race for colonies, particularly locations of strategic importance. The first Italo-Abyssinian War took place in 1895-1896 as part of Italy's bid to establish a colonial foothold in Africa. The Ethiopian Empire (also known as Abyssinia) was one of the few regions that had remained independent as European colonizers subjugated the rest of Africa. Italy on the one side, was supported by England, Germany and Austria-Hungary while Ethiopia was supported by the French and the Russians. After early losses, the Ethiopians gave the Italians a serious trouncing and emerged victorious, much to the chagrin of the Italians. The Treaty of Addis Ababa forced Italy to recognize the independence of Ethiopia. But the Italians never forgot the humiliation of their losses at the hands of the Ethiopians. By the early 1930s, the Italians were again eyeing Ethiopia with a view to bringing it under their control. They had tried "peaceful" infiltration and not met with much success. By late 1934, Mussolini had ordered the military invasion of Ethiopia. Both England and France, preferring to keep Italy as a buffer against Nazi Germany, turned a blind eye to the build-up of troops along the Ethiopian border. They didn't want to antagonize the Italians who were already a bit too friendly with Nazi Germany. 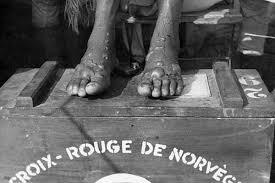 At the outbreak of war, the International Red Cross encouraged both sides to uphold the provisions of the Geneva Convention which protected the wounded and sick and, since 1929, prisoners of war. Ethiopia agreed to sign the Convention on sick and wounded but the Ethiopian Emperor declined to accept the treaty covering prisoners of war. Both sides, however, were bound by the 1925 Protocol which prohibited the use of poison gas. "Captain Townshend Stephens, a British Red Cross official, on his return to Addis Ababa from the front, describes the terrors of gas in the Quoram [Korem] region as the cruelest form of butchery. He states that thousands of helpless men, women and children are suffering from horrible festering boils and sores which gas has produced. Stephens, too, apparently wrote about his experiences in an article published in St. Bartholomew's Hospital Journal (see references below). In one instance, in order to escape the bombing by Italian aircraft, the British Red Cross moved one of their field hospitals into a cave. It was tight, cramped quarters, damp and infested with fleas. During air raids, the local population fled to the cave and Stephens noted that while the new field hospital was bombproof, 'it was a sad failure as a hospital'. (quoted in Between Bombs and Good Intentions, p. 169 - see references below) One wonders if Stephens' experience in Ethiopia perhaps coloured his perception of the Italians, for he would later write that Italians are "undersized, posturing folk". Stephens' father noted that Robin had been invalided home from Abyssinia in 1936. It is unclear if this was due to the effects of mustard gas or from other injuries. Townshend-Stephens, Captain R. 'John Melly or the British Ambulance Service in Ethiopia', St. Bartholomew's Hospital Journal, London, September, 1936, volume 43, p. 223-30. 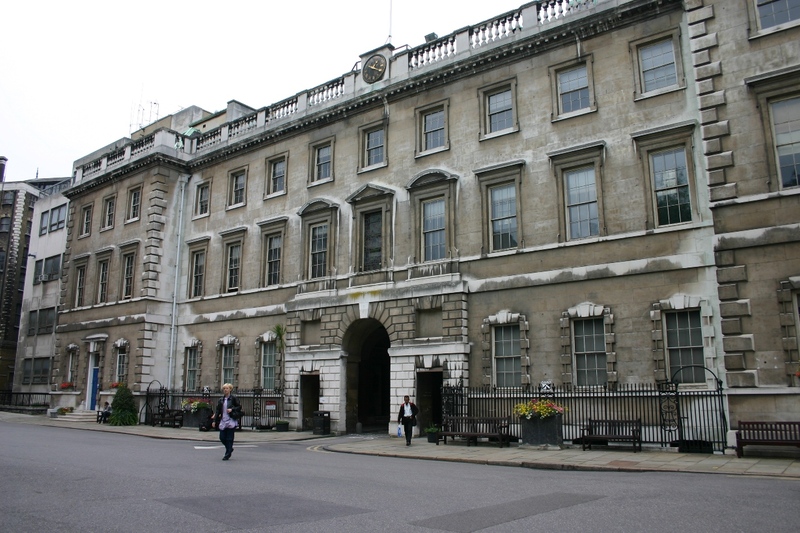 If anyone ever gets over to St. Bartholomew's Hospital Archives & Museum in West Smithfield, London, the reference for Stephens' journal article is: SBHMS/PB/1/42 - although it appears one needs to email ahead of time to make an appointment to visit/view the archives. PPS - thanks to Tony K and Stephen D for helping to decipher Stephens' scrawls. I've known for a while that Robin W.G. Stephens, commandant of Camp 020, had spent some years in Muscat during the late 1920s. The more I dug into the Muscat Levy Corps, however, the more perplexed I became. What was a British officer doing commanding a group of soldiers, drawn from what is now Pakistan, in the deserts Oman? Before we get to Stephens, therefore, we need to back up a bit and get some context. Muscat lies on the eastern coast of the Arabian Peninsula, part of what is now Oman. Back in the 1500s, Muscat was a convenient way-point for ships traveling between Europe and India and the first Europeans to control the area were the Portuguese. Their superior naval tactics allowed them to gain control of the coastal area from local leaders thereby allowing them to expand their profitable spice trade with India. By the mid 1600s, the British, in the shape of the British East India Company, were nosing around the area and signed a treaty with some of the desert tribes in a bid to weaken Portuguese control of the area. In 1650, Imam Sultan Bin Saif rose up and expelled the Portuguese from Muscat and Oman. Things ticked along quite nicely for several decades, with minimal interference from the British. The Oman empire expanded and eventually included enclaves as far away as Zanzibar and as near as Gwadur (a coastal area in modern-day Pakistan) across the Gulf of Oman. All was well until the late 1700s when Napoleon started challenging the British in Egypt. The British government became more directly involved and signed several treaties with the Omani ruling family. In 1856, a succession crisis followed the Sultan's death and the British stepped in and divided the Omani empire into two. This, along with several other factors (debt), weakened the sultanate and meant that the ruling family became increasingly dependent upon British military and political support to maintain power. In the early 1900s, conservative anti-Muscat tribes in the interior, sensing a weakness in their foe, stepped up their attacks on the Sultanate. Propped up by British military and political support, the Sultan held the tribes at bay, but there was no clear-cut victory for either side. Finally, on 25 September 1920, the British government brokered the Treaty of Sib between the Sultan of Muscat and the Imam of Oman. In return for autonomy, the interior tribes promised to cease attacking the coastal communities. 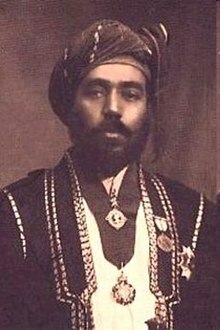 The British preserved their power through the Sultan and the Sultan received a loan from the British which allowed him to pay down his debts. Most of the British military support during the tribal rebellions in the early 1900s came in the form of troops from the Indian Army. 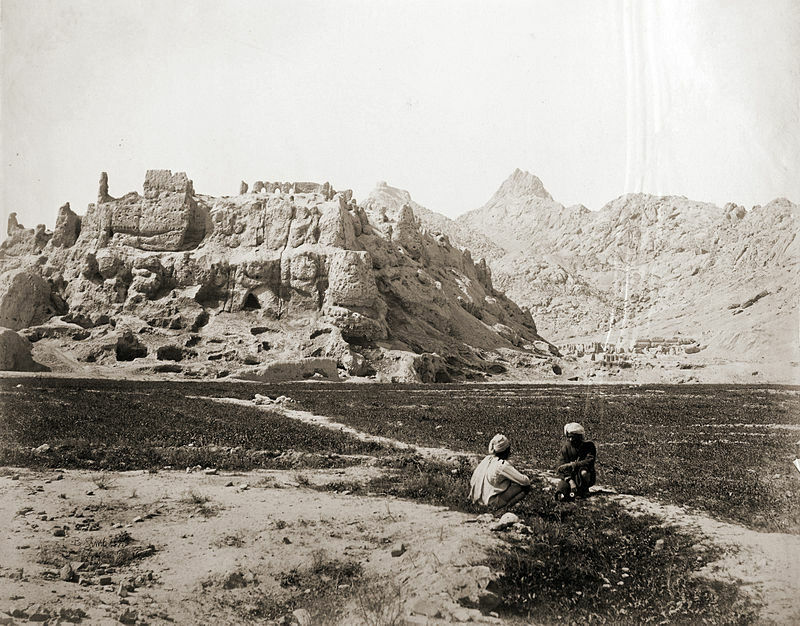 A fort at Bayt al-Falaj, near the Sultan's summer palace, became the headquarters of the force and the surrounding village soon became an army encampment. On 19 April 1921, a year after the Treaty of Sib had been signed, replacements for the Indian troops arrived in the form of the Seistan Levy Corps from Baluchistan (modern day-Pakistan) under the command of Captain E.D. McCarthy. The new arrivals set up camp in al-Wutayyah while the Indian Army troops vacated their headquarters at Bayt al-Falaj. Unfortunately, the 250 Seistan soldiers were not used to the climate and malaria decimated their ranks. Many of the soldiers were discharged in the first year and replaced by Makrani Baluchis from the Sultan's enclave at Gwadur, across the Gulf of Oman. The Muscat Levy Corps was small in size, never mustering more than 300 men, and usually 200 or less. Its role was primarily that of a garrison force, providing armed guards for the Sultan's Palace, the British Political Agency and the Sultanate Treasury. 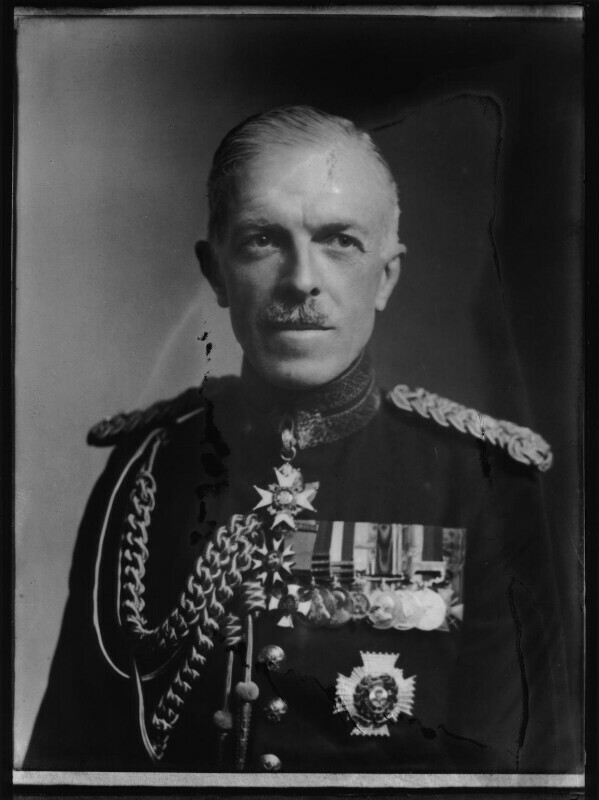 In 1923, the first commandant, Captain McCarthy, handed command of the Muscat Levy Corps (MLC) to Captain R.G.E.W. Alban. Given the poor economic condition of the Sultanate, the MLC suffered from budgetary constraints which manifested in the form of inadequate firearms and a declining roster. It would appear that Captain Alban was invalided unexpectedly in March 1924 and his successor, who arrived in July 1924, was Captain George J. Eccles. 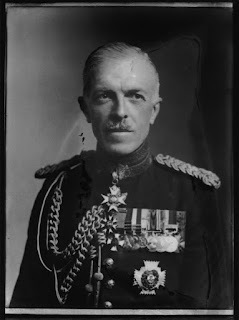 On 11 May 1926, Captain Eccles wrote his final report on the MLC and handed over command to Captain Robin William George Stephens, seconded from the Indian Army. For the next two years, Stephens took the Corps in hand. His report, dated 11 May 1928, gives us a good sense of the state of the Corps and how he sought to improve discipline and efficiency. The Corps consisted of one Commandant, three Indian officers and 165 other ranks: two platoons of Muscat Arabs, two platoons of Makrani Baluchis and one platoon of Muscat State subjects. Stephens noted that when he took command, the Corps mustered 180 troops despite the fact that Eccles had considered 200 to be a minimum. The climate proved to be a complicating factor. During the rainy season, malaria was a danger while during the dry months, boils were the main problem. Discipline was generally excellent, particularly after Stephens started an Officers Club and an NCO's Club. This reduced the intermixing of officers, NCOs and troops which Stephens noted could "be so detrimental to discipline". Stephens worked at increasing the marksmanship of the soldiers, despite the fact that they were issued with older rifles. Finances were an ongoing issue and Stephens had tried to reduce the budget, as had his predecessor. As for the role of the Muscat Levy Corps, Stephens noted that there was no occasion to use the troops to deal with hostile people and so their work mainly consisted in the maintenance of Bayt al-Falaj, providing guards and furnishing ceremonial duties. In addition, Stephens had the troops repair the rudimentary road between Matrah and Bayt al-Falaj, construct a road between Matrah and Muscat and construct a road to Ruwi and then onwards to Bawshar and al-Sib. In addition to road work, the troops also cleaned out the water channel from Ruwi to Bayt al-Falaj, put the grass farm in Ruwi in order and cleaned out the water channel at al-Wutayyah. Stephens noted that the Sultan had expressed a wish that a pipe band be instituted and a beginning was made despite the lack of trained pipers. Finally, the troops built a tennis court "that added much to the amenities of the place". In 1928, Stephens handed over command to Captain A.R. Walker who noted that "Captain Stephens had brought the Corps to a very satisfactory state of discipline and smartness". Major Fowle, Political Agent & H.B.M. 's Consul in Muscat, noted that "the men are cheerful, well turned out, smart in handling their arms and keen on regimental games and sports". In contrast to his reports from the 1940s regarding the work of Camp 020, Stephens' report on the Muscat Levy Corps is measured and objective without his later flair for the dramatic. Qatar Digital Library - Muscat Levy Corps documents from British Library - includes reports by Muscat Levy Commandants: Eccles, Stephens and Walker. 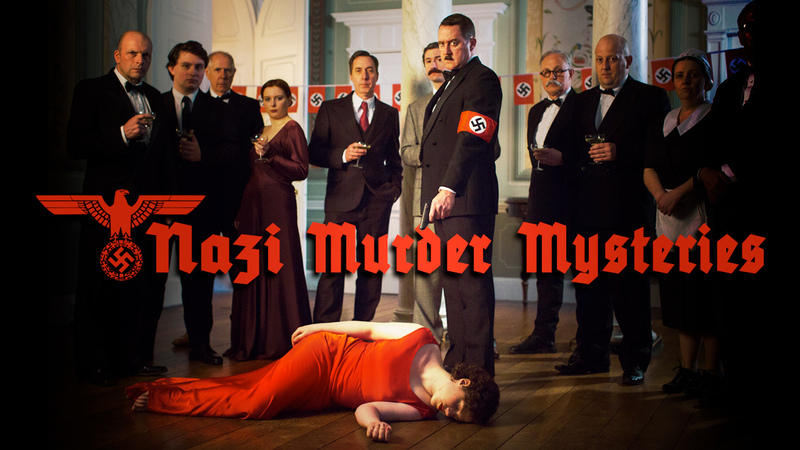 The Yesterday Channel (UK) is airing a six-part series entitled "Nazi Murder Mysteries". Part 4 is coming up this Thursday (December 6, 2018 at 8 p.m. in the UK) and focuses on the story of Bella in the Wych Elm. The episode is going to cover the possible links between the woman's skeleton found in a hollow wych elm in Hagley Wood in 1943 and Clara Bauerle, German cabaret singer and mistress of Josef Jakobs (ill-fated German spy executed in 1941). While I'm naturally most interested in the episode about Bella, during filming last year, the crew mentioned some of the other stories that they were investigating, all of which sounded quite intriguing. After reaching out to the production team from Like A Shot, I received a private link to view the episodes after they have aired in the UK. (Much easier than downloading Tunnel Bear again and pretending to be a resident of the UK!) For those of you in the UK, you can view the episodes via this link. So far, I've seen the first two episodes, both of which were fascinating. First off... I had no idea that Hitler had a niece! She apparently lived with Hitler in Munich in the late 1920s and early 1930s. She accompanied him to receptions and events and many began to wonder... what exactly was their relationship? Hitler was quite domineering and the pair had many violent arguments in the weeks leading up to her apparent suicide in 1931. The story raises raise a lot of questions. What exactly was the relationship between Hitler and his niece, Geli Raubal (19 years his junior)? Did she commit suicide or was it murder? There are no clear answers which makes this story a rather intriguing mystery. Happy to say I HAVE heard of the Duke of Windsor, the former King Edward VIII who abdicated the throne in order to marry American divorcee Wallis Simpson. During the Second World War, the Duke's pro-Nazi sympathies created a bit of a stir and he was sent/exiled to the Bahamas where he was appointed/demoted Governor. 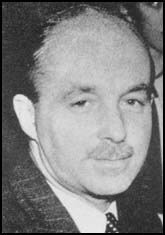 In 1943, a wealthy British-Canadian expat, Sir Harry Oakes, was found brutally murdered at his residence. The Duke, rather than calling upon Scotland Yard to investigate the murder, invited a couple of Miami police officers to come to the island and investigate the case. Again, there are a lot of questions. Why did the Duke turn to police in Miami rather than Britain? Was he trying to cover up financial shenanigans? Was there Nazi involvement? Another intriguing story. While much of the information presented in these stories is available on Wikipedia or other sources, seeing it on screen is always much more engaging. I appreciated how the series brought in experts/authors to provide context to the story. The re-enactments were also helpful in creating an engaging backdrop for the story. 4.5 out of 5 - I did find that some of the re-enactment scenes were over-used and became repetitive after a while.